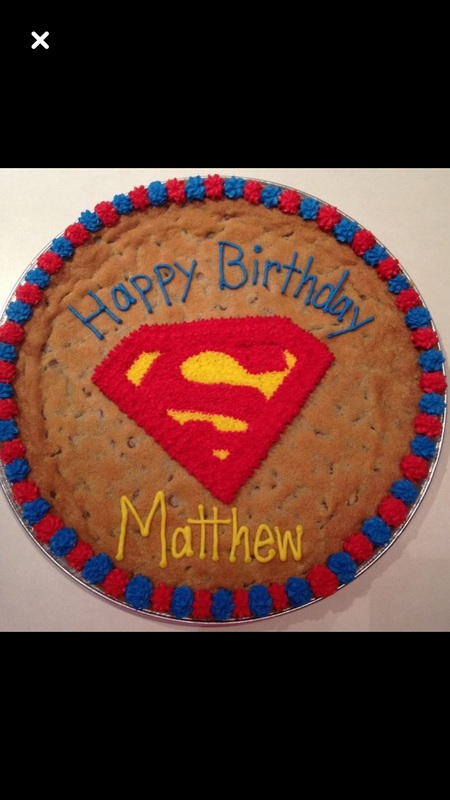 The Giant Cookie Cake is your perfect birthday cake! Try something new! 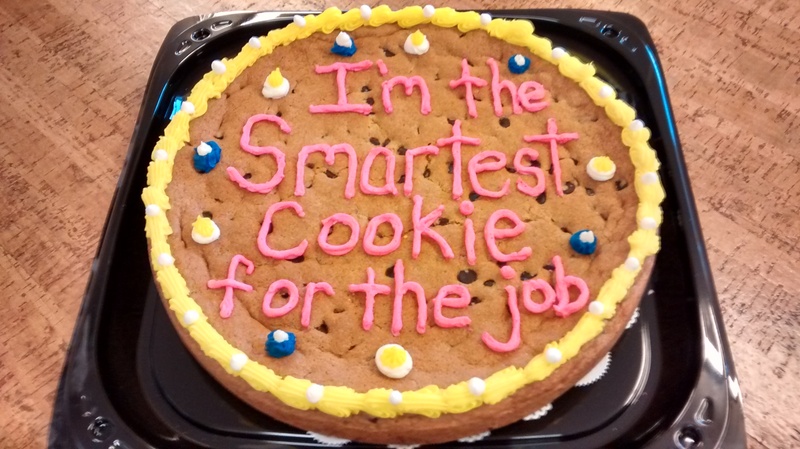 The Giant Cookie Cake is made with our sweet, buttery dough, and comes with semi-sweet chocolate chip or M&M mix-ins. 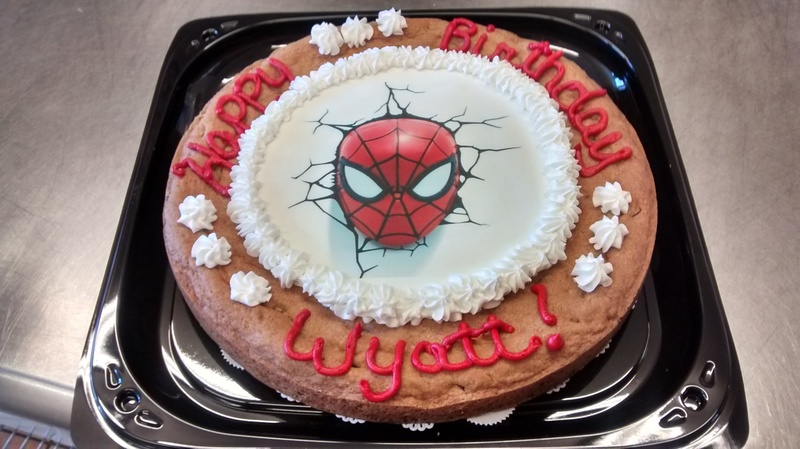 Baked to perfection, it serves 20 and is custom decorated for your occasion. The Giant Cookie is the answer to your cookie craving! We use only quality ingredients – real chocolate, real butter, real vanilla. 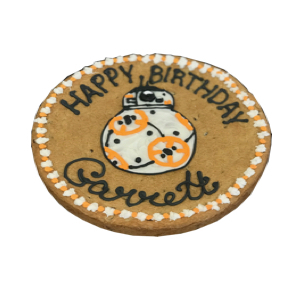 Order one day in advance to have the cookie decorated just how you like! Please contact us by calling (303) 238-5590 or sending an email to info@thecoloradocookiecompany.com to discuss your needs. Ingredients Warning: We cannot guarantee that any of our products are free from allergens, including dairy, eggs, tree nuts, wheat and others, as we use common equipment to store and prepare them.